A place for you to cherish and fell heavenly, La Abode offers you most delectable dining options. The roof top restaurant, offers exquisite dining under the stars and the moon. 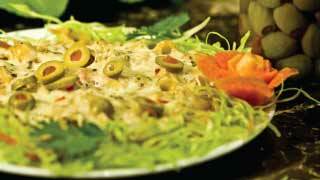 Enjoy the variety of cuisines and flavors with family and guests. When you enter through the grand door you enter into the feel of amiable hue of lights, spectacular chandeliers, modern art curtains, glamorous atmosphere and sumptuous food. Like its refreshing vision, Anjali's space attempts to reflect the encounter between the traditional and state of art ambiance. The restaurant is characterised by simplicity with its crisp, clean semblance that reflect its ambivalent spirit. 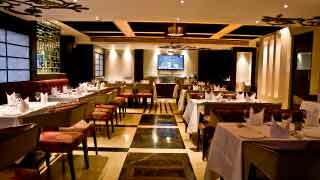 When you are at ANJALI you are not here just to refresh your dining but also to satisfy your heart and soul aplomb. Here you savor serving starting from relishing starters, marvelous barbecue, mouthwatering Chinese and all new continental, to evergreen Indian, Hot and cold Beverages, relishing smoothies and the ready to share cocktails. So don't wait to make Anjali a part of your life and memories. Our menu format is intended to offer an experience in which our guests can enjoy the inherent surprise of a tasting menu, while enjoying the soothing ambience. 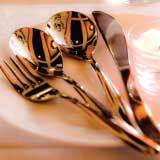 Dishes are listed solely by their principal ingredients, and guests are invited to make their selections. 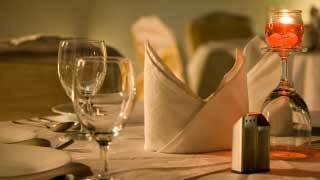 The menu boast of delicious Starters, hot spicy Chinese, fresh energizing beverages, crispy and enjoyable snacks, not to forget our evergreen Indian, relishing Continental and delightful desserts. Combining variety and flavor, our cuisines would marvel your taste and charm your mind. Now you get the special facility with our bed and break fast offer. Get up every morning with breakfast right to your bed. Now you more with every morning at La Abode.